The Family Peace House Kathmandu Nepal is located in a quiet and tranquil area of Paknajol, directly adjacent to Thamel, the main backpacker's heaven where the streets are packed with hotels, restaurants, bars, cafe and shops. 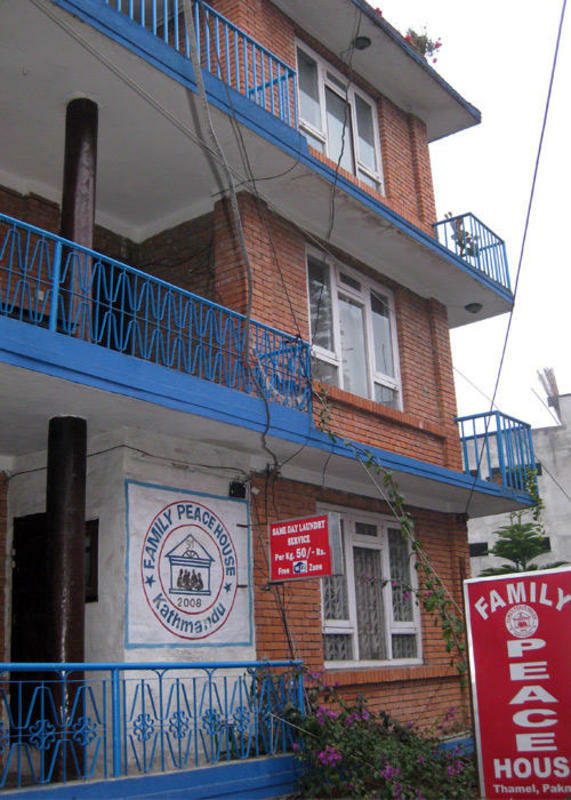 Family Peace House is run by friendly,family and dedicated people from Nepal. 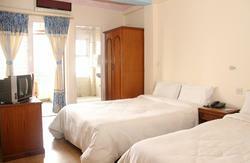 Paknajol offers an escape from hassle, chaos and noise of Thamel. We have 17 rooms in total with either en-suite or shared bathrooms facilities, some have a private balcony, TV, fan, and heating if required, also free WIFi access to all room. 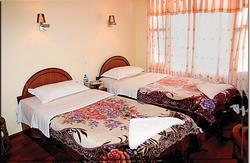 We have a cozy garden and a restaurant with a variety of local and international dishes. From the roof top there is a view of the Kathmandu valley including the Nagarjun Forest, the world heritage monument Swayambhunath (Monkey Temple), Ganesh Himal, Gaurishankhar and Langtang Himal. we offer free transportation for more than 4 nights stay in row. 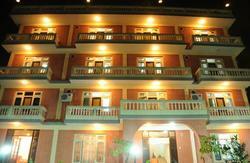 We are located just 3 minutes walk from the pokhara/chitwan tourist bus stop. There is no bus or train service from airport, you can take a taxi ( apx 500/600 Rs one way ). Tell the taxi driver to go to Sorhakhutte junction in Paknajol - we are about 1 minute up that road from triangle intersection.